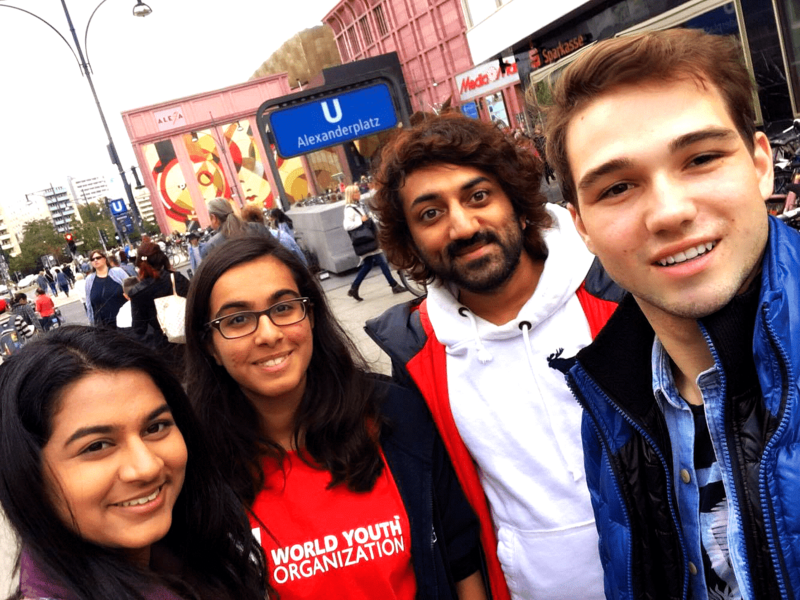 Representatives from the World Youth Organization attended the International Peace Bureau Congress in Berlin between 29th September and 1st October 2016. The IPB aims to encourage a climate of peace by working with partner organisations to tackle the damaging effects of war. One of their main aims is to prevent conflict in the first place by encouraging early dialogue before matters escalate to military conflicts. They are particularly concerned about the use of chemical, biological and nuclear weapons in warfare and these themes were repeated throughout the Congress. One of the main panel discussions centred around the use of the European Union soil for foreign military weapons, such as a number of US military bases across the continent. This posed the problem of what would happen if the US sanctioned military action, but the EU did not; would it be appropriate to allow the use of foreign military aircraft and weapons from EU soil? This question was particularly important in the case of Syria, where different EU member states have different opinions about how the conflict should be resolved, and how these opinions are different to countries such as the USA and neighbouring Turkey. The Congress also debated the issues surrounding the refugee crisis in Europe, potentially one of the most visible effects of war right here at the heart of Europe. It was clearly stated that all states hard to shoulder some responsibility for this, though their overriding message was that without an end to the conflict in Syria, more refugees will continue to be displaced and more than likely continue to head towards Europe. The Congress was held in Berlin, a capital city which has had its own turbulent history. During our time in the city, we also visited the main monuments in the city including the Brandenburg Gate and sections of the Berlin Wall. We felt it was particularly notable that such a Congress was held in Berlin, a city which has made incredible progress since the fall of the Berlin Wall back in 1989 marking the end of the Cold War in Europe. We were glad to see there was a specific ‘Youth Gathering’ session at the Congress and were pleased that efforts were being made to encourage young people to take part in the debate; a core belief of WYO is that young people have the power to change the world, and we hope to send delegates to similar conferences in the months and years ahead.